Bring luxury to your home with this contemporary modern black area rug. 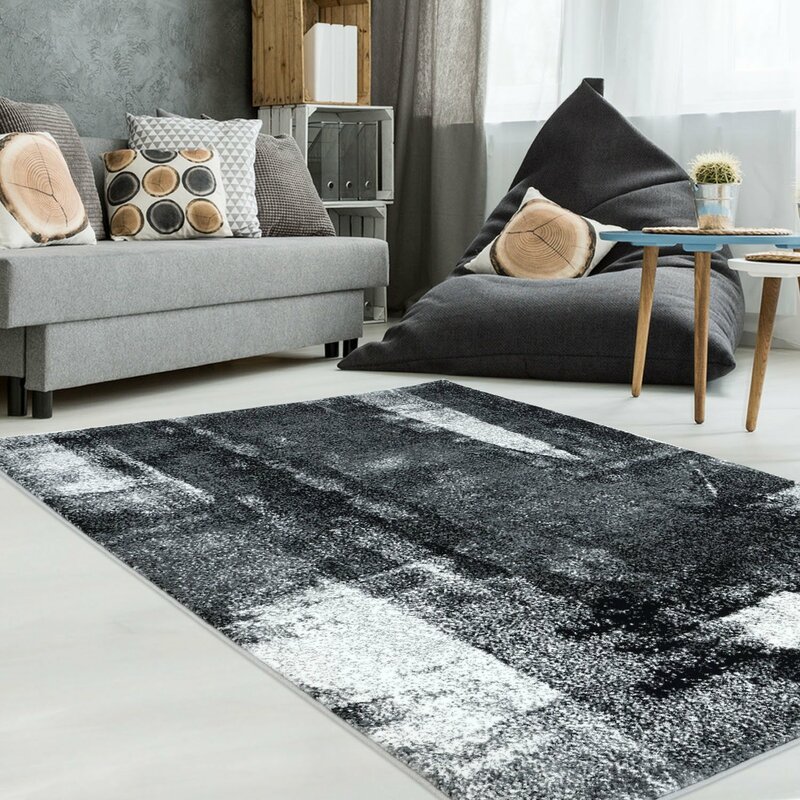 This rug features an abstract design in the various shades of black, white and grey; it is made from 100-percent polypropylene this synthetic fibre makes this area rug durable enough to place in high-traffic areas of your home or work space. This black and grey contemporary abstract area rug will amp up the style quotient of any space.